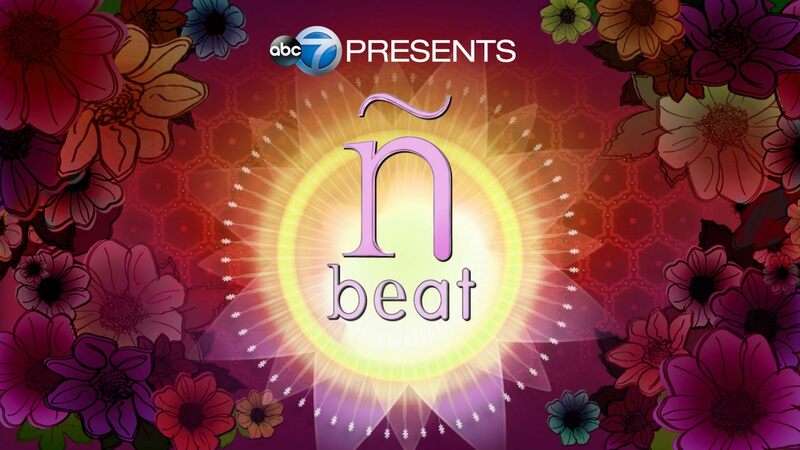 CHICAGO (WLS) -- The Ñ Beat is an Emmy award-winning show that turns the spotlight on Chicago's vibrant Latino community ... from the medical and educational fields, to the culinary scene ... and the entertainment business! ABC7's Stacey Baca is the host. Correspondents include Michelle Gallardo, Roz Varon, John Garcia and Rob Elgas. Chicago's food scene is loaded with great Mexican options and most of the standouts offer a tasty mole on the menu. A Cragin neighborhood outpost is making a name for itself by perfecting these sophisticated sauces. "Sol de Mexico" is a dream come true for a Mexican immigrant Carlos Tello and his mentor, Clementina Flores. The duo opened Sol de Mexico a decade ago and loyal diners swear the 7 varieties of moles served at Sol de Mexico are the best available 'North of the border'! With a father who worked for 3M, Anna Dominguez, was always surrounded by the various varieties of tape that her father's company produced... so, it should come as no shock that this young Chicago artist has come up with a creative way to use all that tape! She calls her new art form... 'taping'. She uses masking tape, painters tape, duct tape...even wood tape to make her unique masterpieces and her favorite subjects are sports figures. In fact, many star athletes have even become her clients, after seeing her work! Artist Anna Dominguez is the Queen of Tape. Fidel Rodriguez is convinced he was born an artist. From a childhood in Venezuela, this talented painter has made stops in the Dominican Republic, Italy and Mexico before finding a home in the United States. He's worked as a graphic designer and set designer along with lighting dance companies. He's now Director and Co-owner of ArtSpace8, a two floor gallery at 900 N. Michigan building. Fidel Rodriguez is convinced he was born an artist. What began as an outreach center 50 years ago to help Chicago's growing Hispanic population through GED and 'English as a second language' programs has grown into an impressive hub for higher education. El Centro is now Northeastern Illinois University's satellite campus in Chicago's Avondale neighborhood. You've probably noticed the $27 million boomerang-shaped structure that sits alongside the Kennedy Expressway. It is now the home of 1,000 students enrolled in four different majors... offering college-level classes at tuition rates substantially lower than larger state schools. This showplace is being hailed as a true Latino landmark in Chicago. Even if you don't have high-school aged kids, you've probably heard about the fierce competition to land a spot in Chicago's 'Selective Enrollment' High Schools. But recently, it's actually a new CPS high school in a largely Latino neighborhood that's managed to carve out an impressive reputation of its own...-without- that Selective Enrollment 'caviat'. Eric Solorio Academy High School is located in the Gage Park neighborhood and its students regularly confront violence and poverty but despite those odds, the 6-year old public school boasts a 100-percent college acceptance rate, top CPS attendance numbers and Schoolhound.com just named Solorio Academy the number one neighborhood high school in the state of Illinois that is exceeding expectations. The school offers more than 30 AP and Honors courses and dozens of extracurricular activities, in an effort to make their students as competitive as possible when it comes time to apply to college. Most all of the students are first-generation college applicants. A new CPS high school in a largely Latino neighborhood has managed to carve out an impressive reputation of its own without that Selective Enrollment 'caviat'. While Chicago is home to a few of the country's top ranked medical centers just five years ago one local hospital in Humboldt Park was on the brink of shutting its doors until one man stepped in, determined to breathe new life into a facility that desperately needed hope. José R. Sánchez, President and Chief Executive Officer of Norwegian American Hospital, is Chicago's only Latino hospital CEO. In his short time here, Sanchez has not only turned around the finances at Norwegian American.. but he has confronted the health care challenges in Humboldt Park, Austin and West Town neighborhoods with innovative solutions like a Mobile Pediatric Dentistry Van. Last year, the van provided care to 1,200 kids in-need. Not only do they offer dental care, they have a free church-based health clinic that provides much-needed screenings. Just five years ago one local hospital in Humboldt Park was on the brink of shutting its doors until one man stepped in.